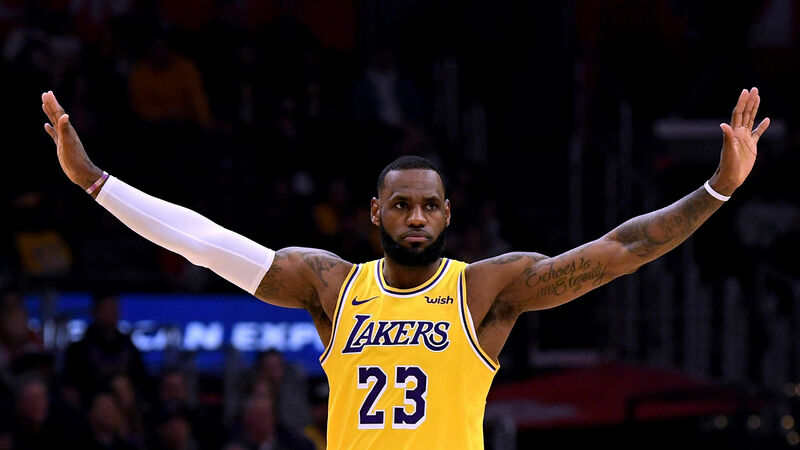 Los Angeles Lakers superstar LeBron James is the top earner in the NBA. NBA great James topped Forbes' list — which factors in salaries, endorsements, appearances, royalties and media pacts — for a fifth successive year. James, 34, left the Cleveland Cavaliers and signed a four-year, $154million contract with the Lakers in the offseason. The three-time NBA champion is averaging 26.7 points, 8.6 rebounds and 7.4 assists per game during his first season in Los Angeles. Meanwhile, Golden State Warriors guard Stephen Curry finished second for a second consecutive time. Curry inked a five-year, $201m extension with the Warriors in July 2017.